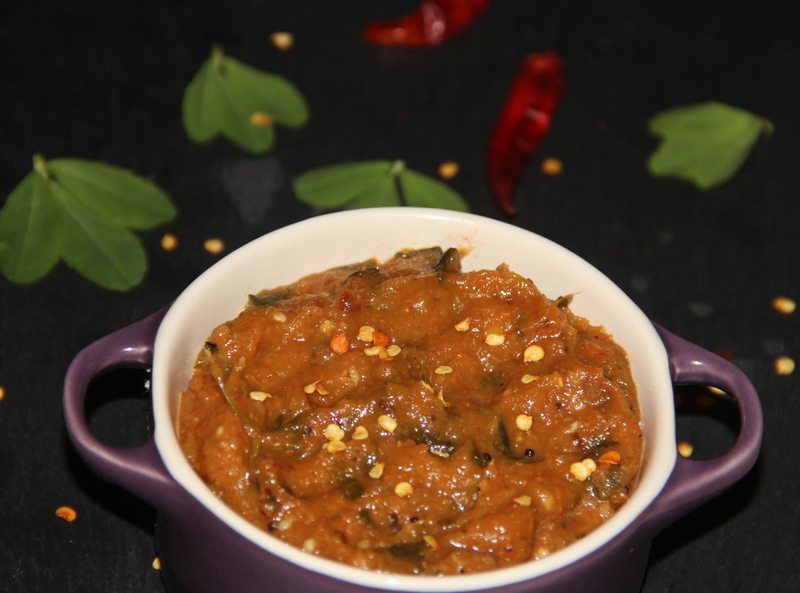 Chutney is an excellent accompaniment to indian meals, sandwiches and any other savoury dish. Tomatoes are now eaten throughout the world and their consumption is believed to benefit the heart and especially when tomatoes are cooked, has been found beneficial in preventing prostate cancer. Tomato chutney is simple and yet tasty dip which can be enjoyed as a dip or a spread. Adding methi makes it healthy, which helps to reduce the cholesterol level, control diabetes. Enjoy this chutney/dip as a healthy and tasty accompaniment.